The end result of that project was extremely beautiful, and the copper cladding will be an impressive and reliable feature of the residence for decades to come. It seems to be a trend. 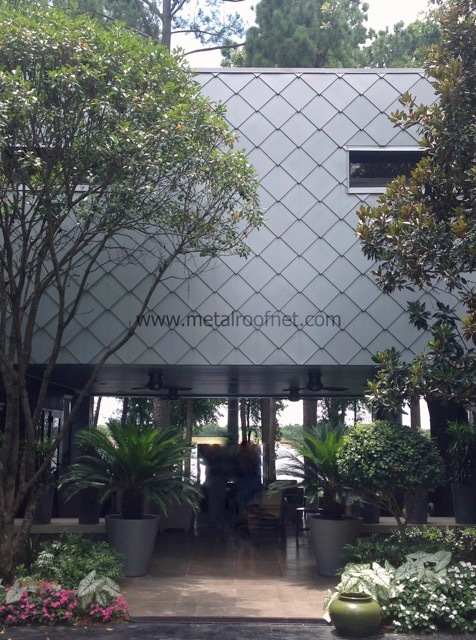 More and more designers and builders are reaching out to metal and copper suppliers like us because they want to incorporate metal into their architectural facades - and not just their roof designs. Considering metal can be had in so many different and interesting colors, finishes, shapes, and styles, it makes sense! There's also the performance and durability factor with high quality metal roofing. In fact, there is almost no other architectural material that can offer the variety that metal cladding does - it means so many original and custom looks can be achieved. Things have come a long way from the aluminum siding of the 60s! If you're wondering how to make your home beautiful and distinctive beyond the standard exterior options, contact Metal Roof Network today.